The golf professional’s day is often filled with meetings, lessons, member events, work at the computer and hopefully some golf. While we wear many hats it’s important to make sure that time is not wasted. We always hear golf professionals say they are “busy” – but what does this actually mean? Are we actually working every minute of every day? Or is there wasted time that could be better used to make yourself more efficient and less stressed? This is where good time management comes into play. Volumes of books are available on the subject and it’s something that technology can help with – when used properly. Starting with the calendar, it’s important to use a digital calendar like the calendar offered from Gmail (GSuite) or Office 365. Both can be synced with your phone so you always know what’s coming up on your schedule. Yet, having a calendar app alone isn’t enough. You have to use your calendar the correct way to get the greatest benefit from it. One such example is when you book a meeting with someone (staff member, new hire, spouse, rep from a clothing company) it’s best to send a calendar meeting invite. This can be done right from your phone and it only takes a minute. What this does is more than block time in your calendar. It clearly sets the expectation for both parties of how long the meeting will run and exactly when and where it should occur. Too often, if a calendar invite is not sent, at least one person will be late because of poor communication. Calendar invites are a sure fire way to communicate your intentions for a meeting. This confirms that both parties are on the same page. Taking it one step further, there is a way to allow other people to book appointments with you that feed directly into your calendar. One service that does this is called Calendly. It’s a fantastic tool that syncs with your calendar and allows others to book time on your calendar. You both get notified when a time is booked and you can set certain rules that allow certain time slots to be booked. Another productivity boosting feature offered by the Gmail calendar is having your daily list of events emailed (or texted) to you each day. Instead of wondering what your schedule looks like, a simple message each morning will give you a complete agenda for the day. As Golf Professionals, a big factor in our day to day life is the weather. Both Gmail and Outlook calendars have the ability to embed upcoming weather forecasts into your calendar. This can let you make decisions faster on meeting schedules or lesson times. Finally, there is the issue of having multiple calendars. You might have a personal email address with it’s own calendar that you use outside of work. It would be nice to see both calendars at the same time to avoid double booking, right? Well, there’s a solution for that. 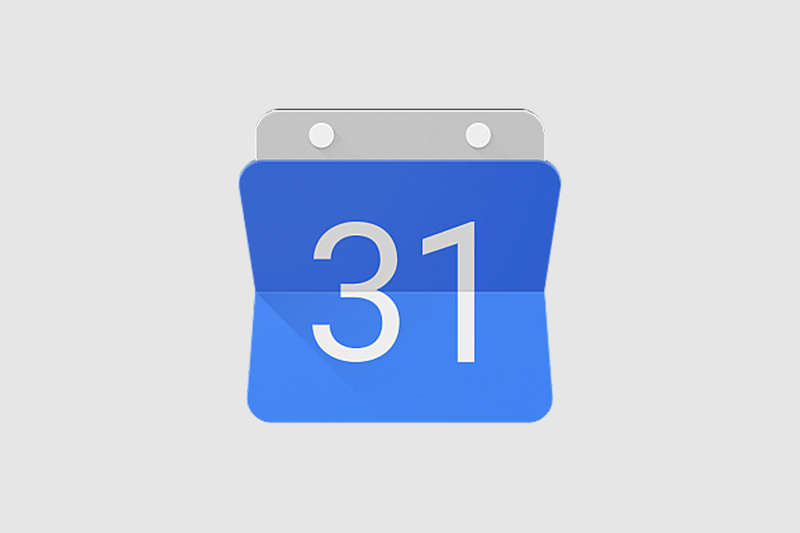 Both Gmail and Outlook let you sync outside calendars. You can sync your spouse’s or other employee’s calendars right into your own and toggle them off or on when you want. We realize that researching ways to help manage your time and improve efficiency can be overwhelming. The best thing to do is experiment with different ways of managing your time and finding something that is unique to you. Everyone’s job, day, schedule, and life is different, therefore no single application will be perfect for everyone.